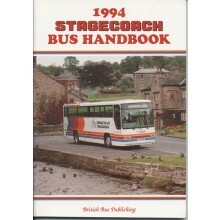 Each year we publish a new edition of our Stagecoach book. These are prepared as soon as the company places the vehicle order for the next twelve months, and details of these are included. Along with the fleet details we show depot allocations and the book is well illustrated, with full colour now standard. Stagecoach Group plc is a leading, successful, transport operator with a highly visible presence in the UK and overseas. It can trace its roots back to a small self-drive caravan and caravanette rental business that was formed in Perth in 1976. Trading as Gloagtrotter (later GT Coaches), the business expanded to include minibus private hire under the original partnership of Ann Gloag and her late husband, Robin. Her brother, Brian Souter, now Chief Executive, joined the fledgling organisation in 1980.